Commentators are suggesting Prime Minister Abbott and Defence Minister Johnston haven’t completely discounted the possibility of acquiring the jump-jet version of our future F-35 fighter, and might even be keen on the idea. As a result, friends and colleagues are lining up to rib me for supporting the target of spending 2% GDP on Defence. ‘See what happens when the funding taps open up?’ they chide. In my defence, I’d argued that Australia requires both sound strategy and adequate funding. Since strategists have to plan for a highly uncertain, and seemingly increasingly threatening, future, it’s generally better to have more capabilities in order to give Government a wider range of options across various credible scenarios. 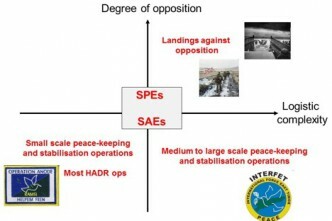 Signalling strategic resolve and weight can also be useful in troubling times. But taking steps to be able to operate jet fighters off our LHDs doesn’t pass the cost-benefit test for me, and could send signals we’d rather not. So while it’ll be useful for the White Paper authors to revisit the case for fixed-wing navy jets in changing strategic circumstances, I’m sceptical they’ll identify strong grounds to proceed. 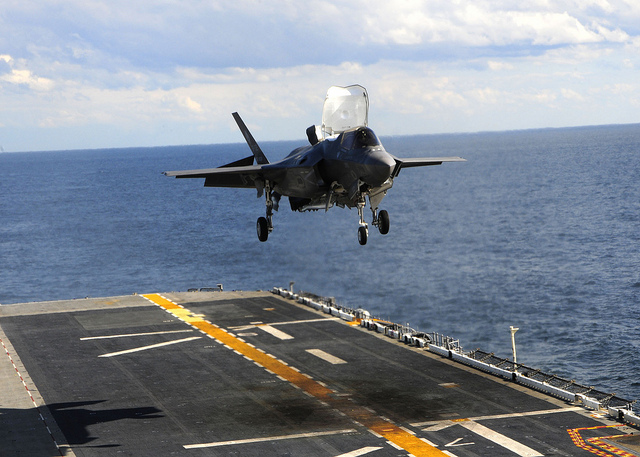 As Robert Farley notes, efforts to operate F-35Bs from the Canberra class amphibious ships we’re acquiring would entail significant opportunity costs. 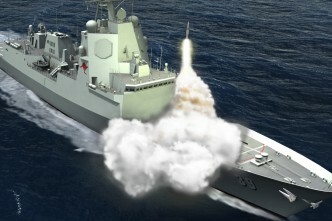 He suggests ‘the ADF would have to commit immense resources to what amounts to a niche capability’. 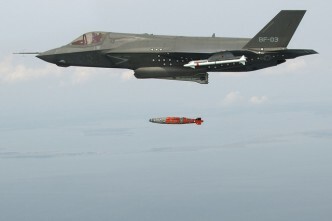 That’s partly because it’s hard to imagine F-35Bs launched from the soon-to-be commissioned HMAS Canberra or HMAS Adelaide having a decisive impact if we found ourselves supporting high-intensity coalition operations in Northeast Asia. (Andrew Davies has shown that re-jigging the LHDs for a mini-aircraft carrier role would be expensive and generate little combat weight for genuinely high-end operations.) Although the survivability of any ADF contribution would be precarious in a lethal Northeast Asian shooting environment, we’d surely be better-off offering other useful capabilities if our carrier-style efforts aren’t going to tip the scales. 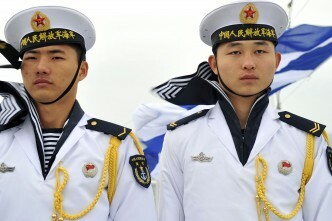 Sure, putting fast-jets on our flat-tops might make a handy contribution to war-prevention even if it isn’t strictly justifiable for war-fighting, by helping symbolise that countries are increasingly alarmed by, and starting to react to, growing Chinese military capability and assertiveness. But we shouldn’t do that at the expense of more-immediate pressing defence requirements. 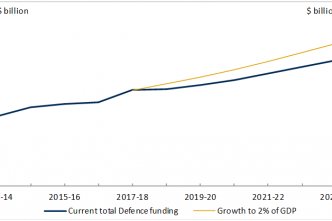 Although the move towards 2% GDP might ultimately generate considerable extra combat weight for the ADF (we’ll have to wait until Mark Thomson’s annual Budget Report on Thursday for a sense of just what the extra billions could buy) even 2% remains well below the level Australia has sometimes spent when we’ve felt really threatened. As such, we’ll still need to prioritise. Let’s fill the $33 billion mismatch between objectives and money in Australia’s capability plan—further exacerbated each day by inexorable above-inflation increases in acquisition and sustainment costs—before we start shopping for expensive symbols and prestige items. Turning our amphibs into mini carriers would also distract from the huge and challenging task of re-shaping Navy and Army partly to be able to use the LHDs for what they were principally designed to do: reduce risk in any future East Timor or Solomon Islands-style major regional stabilisation missions. So wouldn’t embarking jet fighters on our amphibious ships be useful if we had to conduct another such intervention? I’d argue not. I’m as much of an enthusiast as anyone for the sort of reach the LHDs will give us to cooperate with regional partners where it matters most and where we could potentially be required to conduct stabilisation missions or civilian evacuation operations—across our direct approaches. 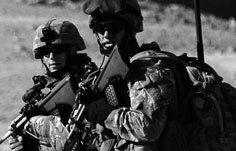 But we need to be careful our growing capability doesn’t draw us into military entanglements we’d be better off resolving non-kinetically and in partnership with, rather than against, our neighbours. 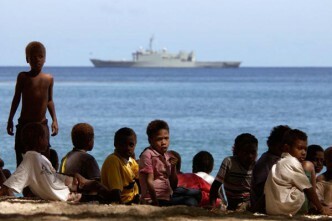 It’s essential that regional security forces see themselves, and act, as part of the solution (preferably under the Biketawa Declaration for Pacific security cooperation) rather than as the potential end-customers of ANZAC ‘bullying’. While I’m cautiously optimistic Suva will hold fair and orderly elections in September, the prospect of disproportionality getting us in trouble is perhaps starkest in thinking about Fiji scenarios. As I’ve previously warned, whenever we’ve considered intervening in Fiji in the past we’ve been held back by two factors: entirely lacking the capacity; and a judgment that doing so would have been, to use the technical term, really dumb. In a couple of years, only one of those conditions will hold. Although an initially visibly muscular approach was central to RAMSI’s early success, demonstrating change was unstoppable in neighbouring Solomon Islands in 2003; we’d been asked to step-in there alongside a group of friendly countries. Putting stealth fighters on our LHDs could be misconstrued as preparing for the sort of unilateral action it’s hard to imagine we’d contemplate without an invitation, unless our citizens were being directly targeted with the indifference or connivance of local authorities—a vanishingly remote possibility in places like Fiji. In short, if the RAAF’s land-based airpower and Army’s Tiger attack helicopters embarked on the LHDs don’t give us sufficient military overmatch for a regional contingency, we almost certainly shouldn’t be playing. Karl Claxton is an analyst at ASPI. Image courtesy of Flickr user Official U.S. Navy. 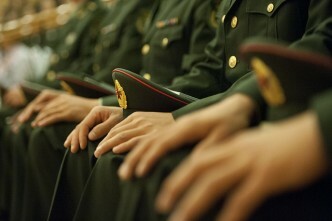 Should we worry about China's defence spending? Amphibiosity - how much is enough?